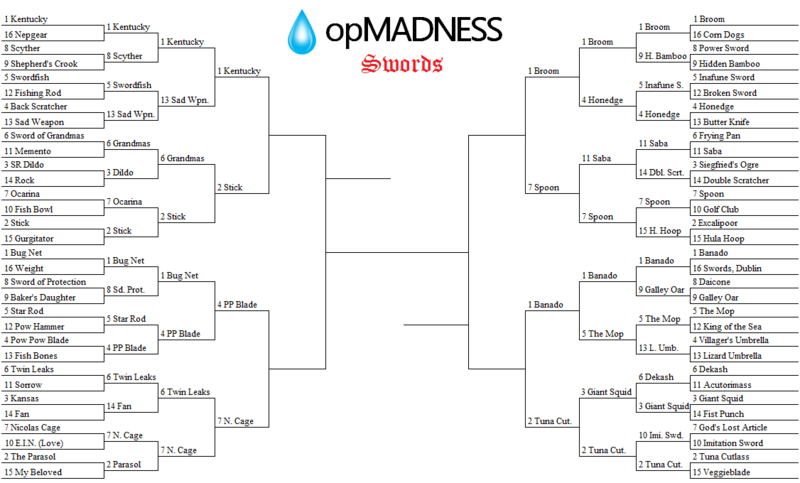 Things have been heating up in the last round of our Swords tournament. And were intrigued by how the voting will go this time around. So, let’s move on from the Sharp 16 and move on to the Edged 8. 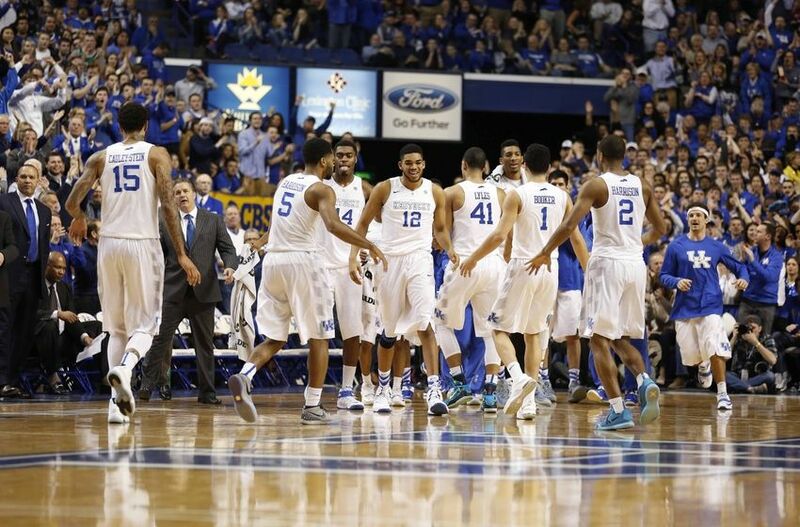 Kentucky has been on a mission to thrash all comers. But it looks to face a strong challenge in the Stick from Kingdom Hearts, which had to beat the Sword of Grandmas to make the Quarter-finals. The Spoon from Rune Factory just squeaked by Saba from Power Rangers. But it faces a mighty challenge in the Broom from Anodyne. Of all the other contenders, the Banado seems to be the only one that could play spoiler against Kentucky. But until then, it needs to get past the Tuna Cutlass from Skies of Arcadia. 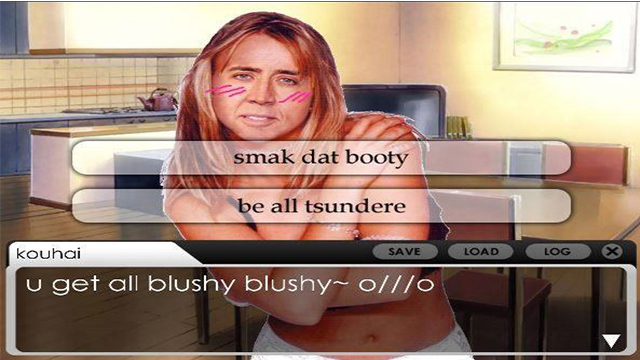 Nicolas Cage was a surprise selection for the tournament but has been on a rampage since the first round. 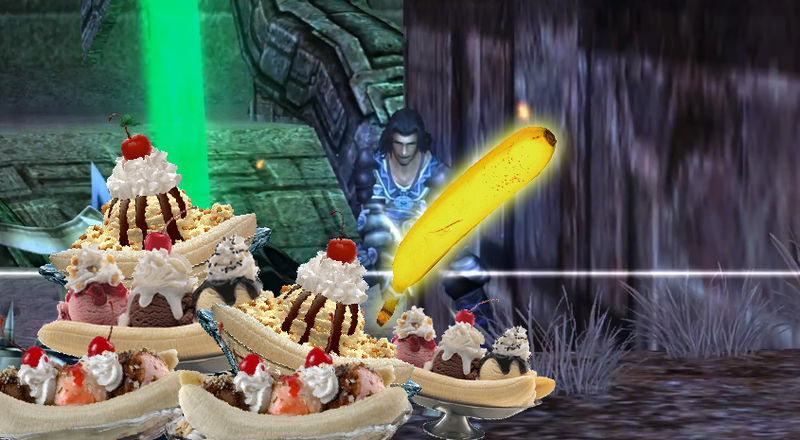 But now he must face the Pow Pow Blade from reader favorite Tales of Symphonia. And that’s it for this round. If you want to check out Round 3, you can do so by clicking here.